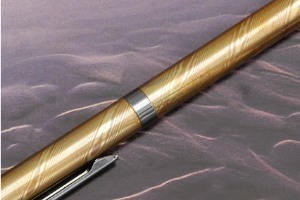 Description: This exceptional pen was created by Bill Burke. 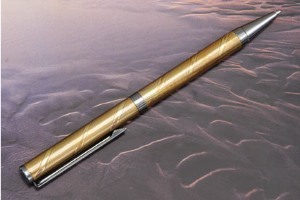 The fittings and mechanism are high quality Cross style parts. 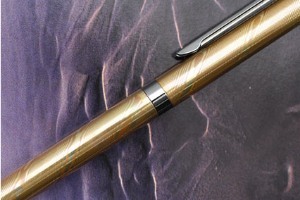 The mokume gane barrel was forged by Bill and is a tight twist pattern alternated with a larger twist. 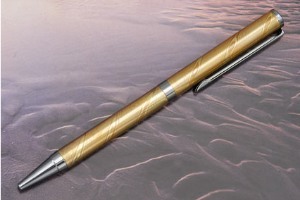 The slim profile makes is feel great in the hand and is easy to keep in a breast pocket. 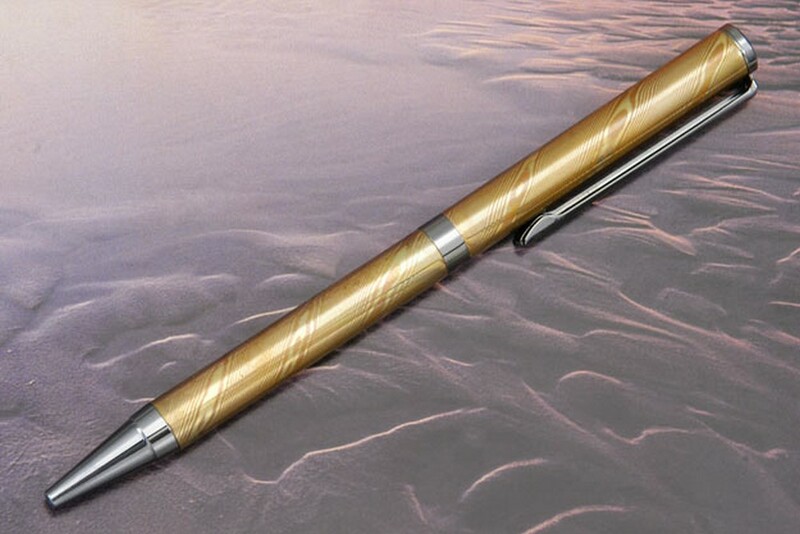 The pen measures approximately 1/3 inch in diameter and is 5 inches in length. Exceptional work throughout!